The Dutch are proud of the way they have created a country by fighting back the ocean—but when they started making their own earthquakes it proved a step too far. The tiny village of Zeerijp in the northern Netherlands looks ordinary on the surface, yet closer inspection reveals cracks in homes, schools and historic buildings. 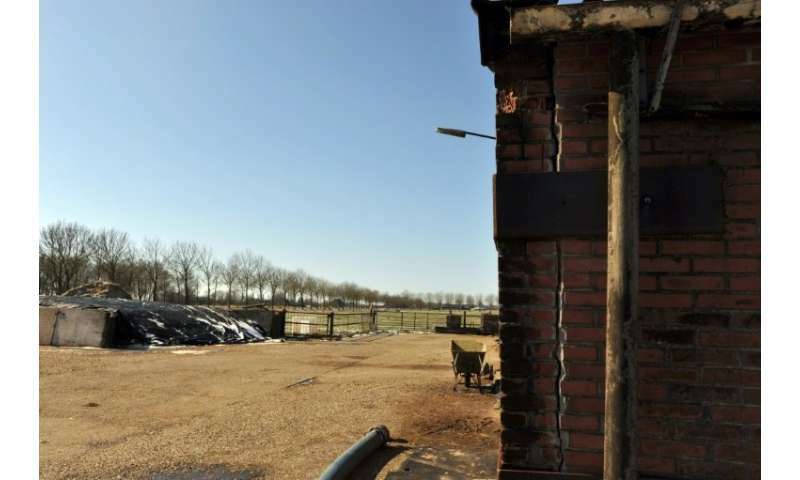 A series of quakes caused by extractions at Europe's biggest gas field in Groningen province culminated in a 3.4-magnitude tremor in January, the biggest for six years. "Suddenly, I heard two huge noises, one after the other. Then it all began to shake," said farmer Bert-Jan Huizing, 50, describing how he was working with his forklift truck when the tremor struck. Facing a wave of public anger over the threat to life and limb, the Dutch government announced that all gas extraction from Groningen will end by 2030. It was a major blow to a project that has benefitted from billions of euros in state funding thanks to gas export contracts, particularly with France and Germany. The earthquakes are said to result from huge air pockets left underground by extraction. A large fence surrounds the Leermens extraction site near Zeerijp, where activity has now stopped, but locals can still feel the earth move sometimes. Hundreds of activists recently spent the night in tents at the site to protest against the extractions. Despite the announcement that the field will shut, more than 20 billion cubic metres of gas were still extracted this year. At its height in 2013, the figure was 53.9 billion cubic metres. "2030 is still a long way off and we could have more earthquakes," warns Huizing. The potato farmer, a father of four children, was working on the soil where his wife's ancestors have toiled for 250 years. Tall and bald, a councillor and president of the local football club, he said his own home had only suffered "several cracks" but his worries were for the community. He is leading a project for a new village school after experts deemed the old building unsafe. Prefab buildings were meanwhile set up to temporarily house people whose roofs threatened to fall in whenever the next quake struck. But not everything can be saved. The only bar in the village, closed up and ringed by fences since the last earthquake, is threatened with demolition. "It has suffered so much damage from earthquakes that it has been declared uninhabitable," says Huizing. "Everywhere here, there are buildings, houses and farms where people don't feel safe anymore." Dealing with compensation claims is meanwhile a headache that is "beyond everyone", even parliament, he adds. Together with dozens of his colleagues, he drove tractors into The Hague, the seat of the Dutch government, to plead the cause of animal breeders "facing leaks from their manure cellars". "Everything is being destroyed—our cultural heritage, our farms, our churches, and even people," said Annemarie Heite, a 47-year-old farmer. The Dutch government set up an independent commission in March to handle some 14,000 compensation demands. But residents say that between expert reports, work orders and late payments, they are drowning in bureaucracy as different departments pass on this political hot potato. Energy companies say all compensation will be paid. "All the bills for damages linked to gas production will be paid," said Shell Netherlands, which has an equal stake with ExxonMobil in the NAM, the company which since 1963 has been drawing natural gas from the massive Groningen field. Meanwhile the people who live there are tempted to rely on fate over bureaucracy. "If I was being cynical, I'd say that we nearly want there to be another earthquake to move the process along," added Huizing.